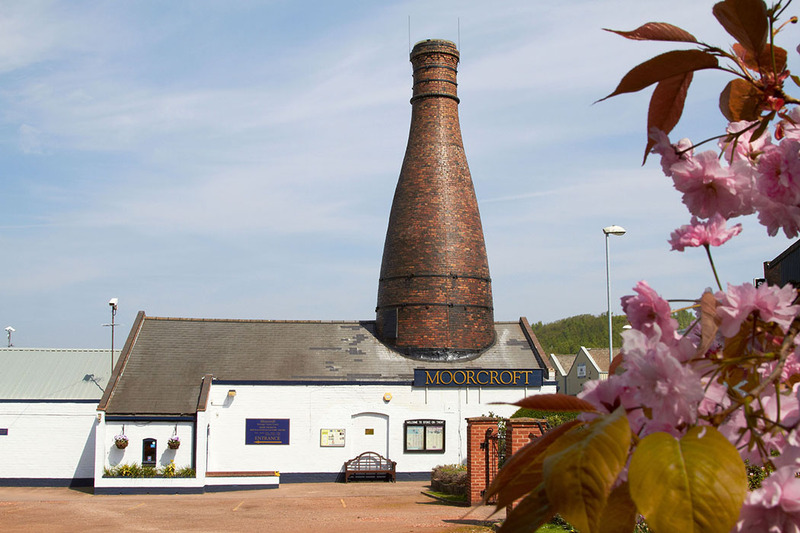 Situated 1 mile outside of Hanley City Centre and located in a 100 year old factory, complete with its Grade 2 listed Bottle Oven soaring into the Burslem skyline is the Moorcroft Heritage Visitor Centre and Museum. 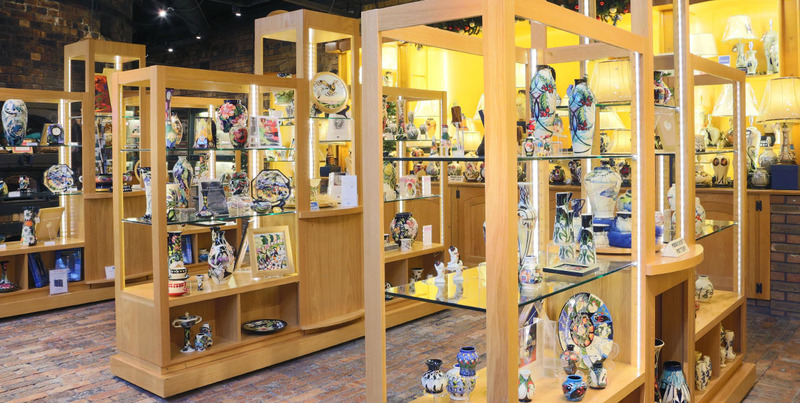 The visitor centre is home to a complete range of Handmade Moorcroft Pottery available to purchase, as well as an informative display of storyboards explaining the history of how the Bottle Ovens/Kilns were used all those years ago. 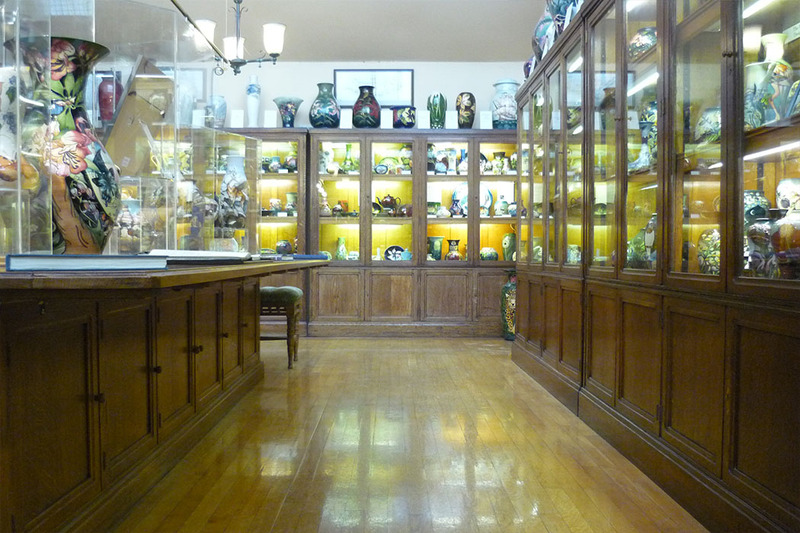 Situated within the Visitor Centre is the Moorcroft Museum, which is home to the world’s largest collection of Moorcroft, including examples of work produced at James Macintyre and Co. 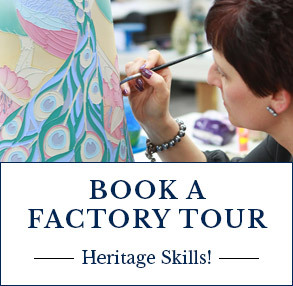 Visitors to the Heritage Centre can also enjoy a DVD showing how Moorcroft Pottery is made or they can book onto a Fully Guided Factory Tour, where they can witness, first hand, the extensive work involved in creating a hand-made piece of art pottery. solutions. So please speak to our Retail Director, Kim Thompson, if we can be of more assistance. 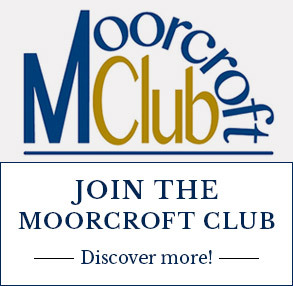 For full details of how to reach us please see the ‘How to find us’ section of our website, alternatively, you can plan your journey by car or public transport using online travel sites, such as Google maps or RAC Routeplanner. The nearest railway station is Stoke-On-Trent, which is approximately a 10 minute drive away. Taxis are available at the station. If you require an accessible taxi these are available by the North end of Platform 1. There is a Bus Stop outside of the Train station. Take the D&G Bus (every 30 minutes), Plum Line, towards Hanley Bus Station and get off at Hanley (Bus Station), then transfer to First Bus Number 18 towards Haregate, Horsecroft Crescent and get off at Cobridge, opposite Sneyd Street (on Leek New Road). Walk approximately 4 minutes to Sandbach Road. There is no Bus Stop directly outside the Moorcroft Visitor Centre. 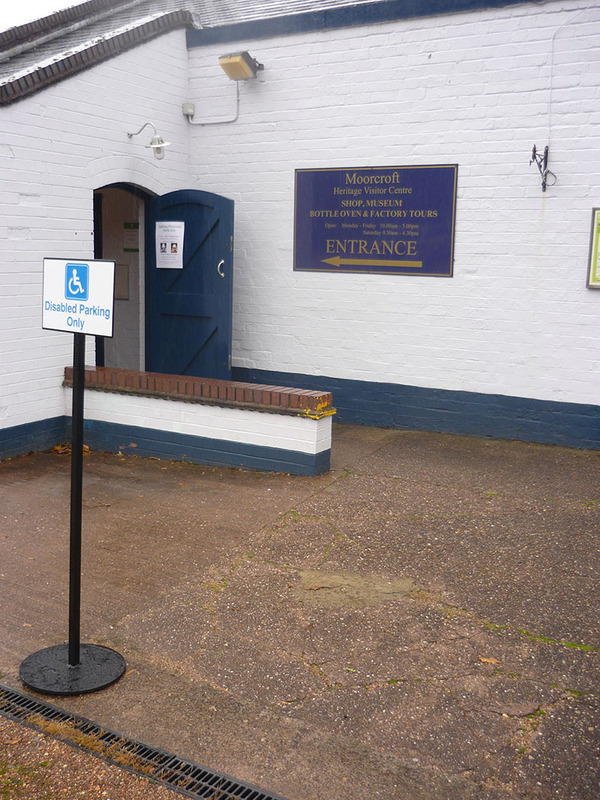 The Visitor Centre is located on flat ground with a gravel car park, and therefore some difficulty may be experienced by wheelchair users. There is a small, free of charge car park onsite at the Visitor Centre comprising of 22 spaces, 3 of which are designated disabled parking spaces located approximately 32 feet away from the main entrance door. 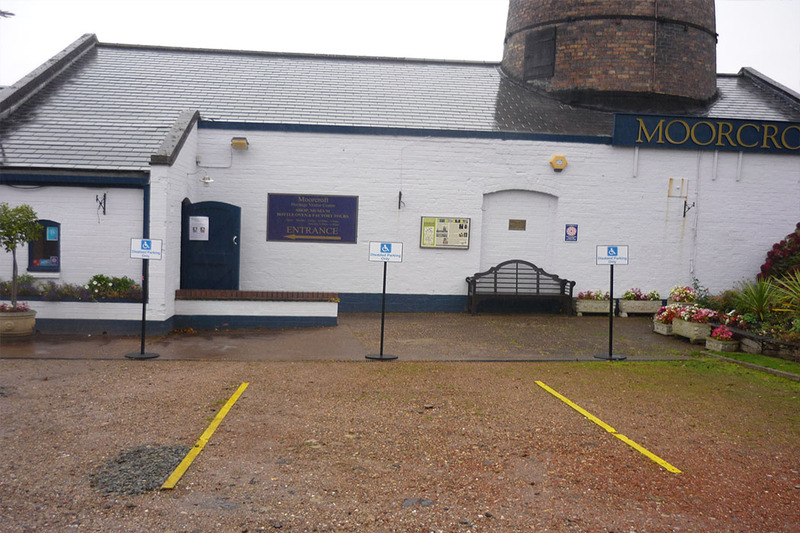 The car park is of gravel like surface, and therefore some difficulty may be experienced by wheelchair users. 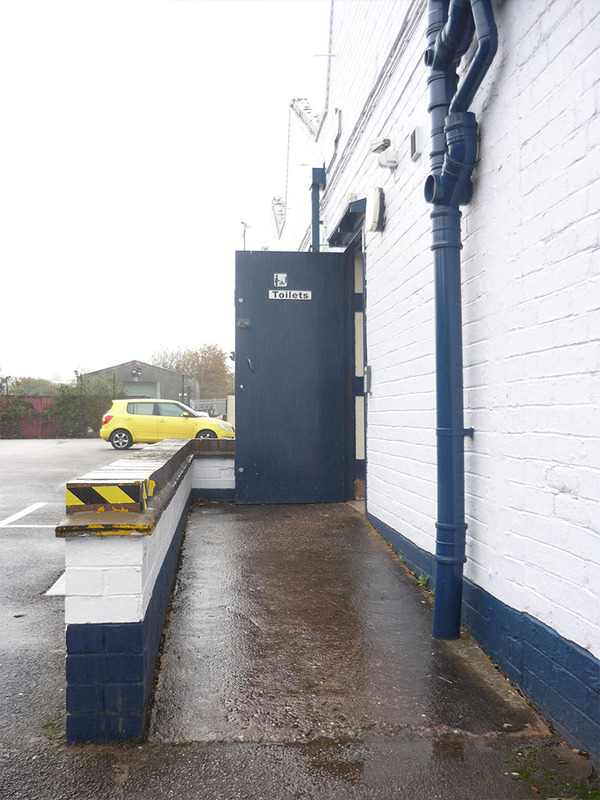 There is level access into the Visitor Centre and the main entrance door, which is of single width, is always fixed open. The door opening is 81cm (2ft 8ins). There is a second heavy metal door, but assistance is on hand at all times. This is 116cm (3ft 10ins) wide and opens outwards into the porch. There is a slight downward ramp into the visitor centre, which then leads onto a stone level outer floor, with the centre area consisting of uneven cobblestone. • The main entrance is situated on ground level with step free, level access, throughout. • There are comfortable chairs situated around the bottle oven within the Visitor Centre. • The floor surface consists of a level stone outer with an uneven cobblestone area in the centre and around the bottle oven. The museum has a flat wooden floor. • The reception desk is located approximately 9m (29ft 6ins) in front of the main entrance door. • The area is evenly and well lit with overhead and side lighting from spotlights. • There is a lowered section of the welcome desk. • There is a hearing loop system available on request. • There is a wheelchair available for use on request. Due to the environment of a working factory, we do not offer audio tours or interactive screens. All tours are conducted by a fully trained tour guide who is trained in the use of the loop hearing system. Any information needed or questions can be answered by our highly knowledgeable staff/tour guides. We have large display boards telling the history of the Moorcroft Bottle Oven in appropriate font size interspersed with a variety of images, running around the outer area of the Bottle oven. Each Story board is well lit and on a white plain background. 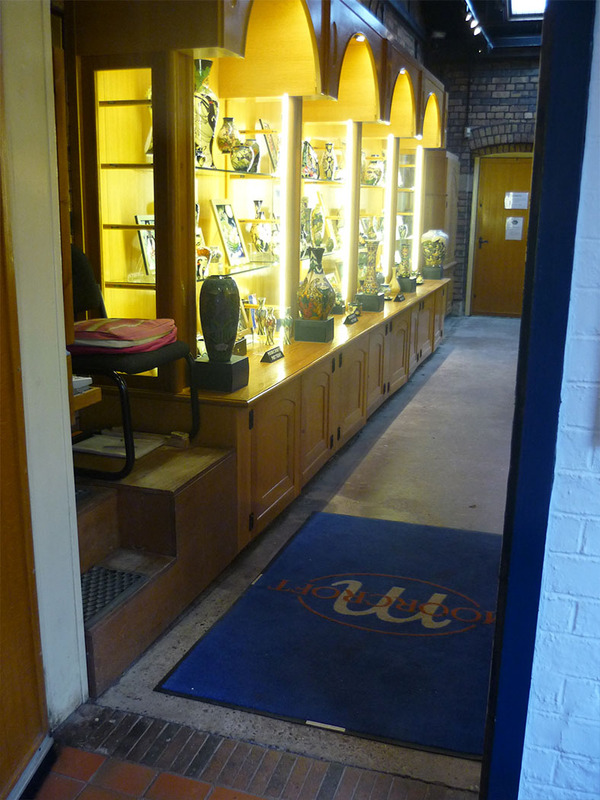 We have a DVD, running on a loop system, which gives visitors an insight into how Moorcroft Pottery is made. Each video loop is approx. 10 minutes long. There is background music playing within the Visitor Centre area, and at times some noise from the working factory can be heard briefly. When on a factory tour, there is very little noise, due to minimum machinery being used. There are no flashing lights, but the displays in the shop do consist of bright LED lighting and overhead spotlights. When taking a factory tour, there are fluorescent tube lights within all departments. There are no doors to open within the Visitor Centre, and the door opening into the museum is kept open all day. 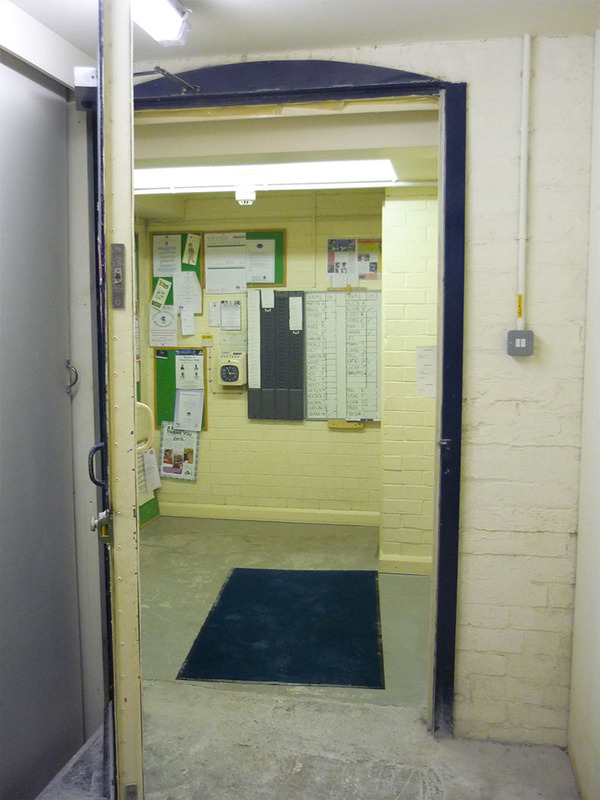 The door is of single width, measures 92cm (3ft), and has a slight upwards ramp for disabled access. The museum cabinets are viewable from a height of 76cm (2ft 5ins) upwards. 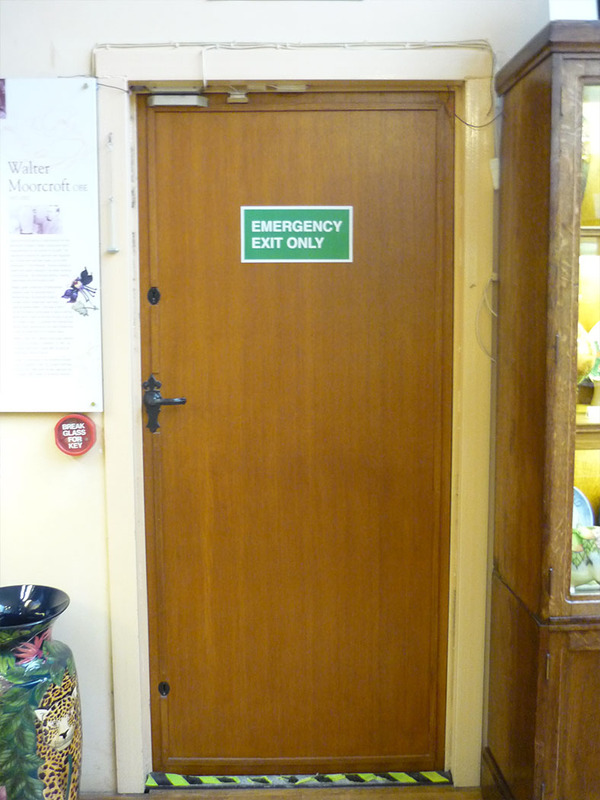 The Museum fire exit door is of single width and measures 88cm (2ft 9ins) wide. There is a small step down out of the museum fire exit, no ramp is available. 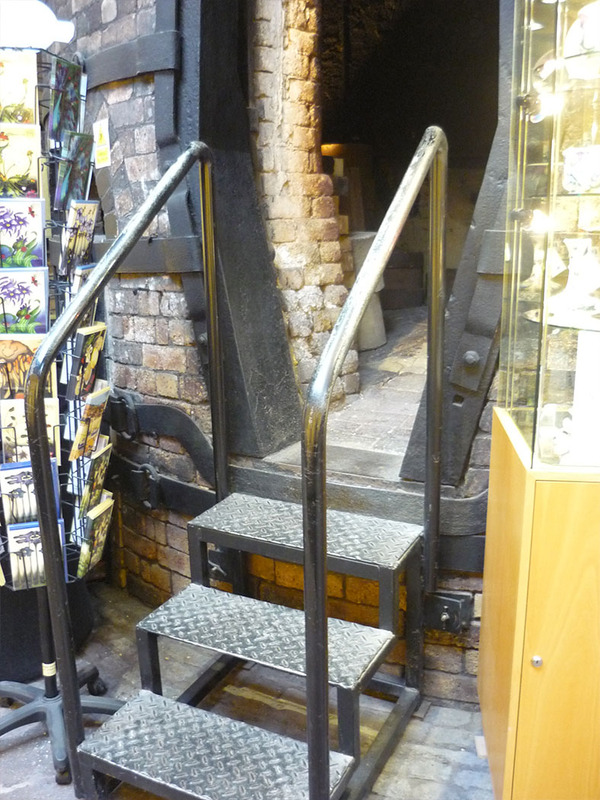 To view the inside of the Bottle Oven there are 3 metal steps to climb, these have hand rails both sides for assistance. The factory tour is fully guided and is all on one level. The floor is slightly uneven in areas but wheelchair access is not an issue. All doors on the factory tour will be opened by your tour guide. Majority of the doors on the factory are of single width and measure upwards of 94cm (3ft 1ins). 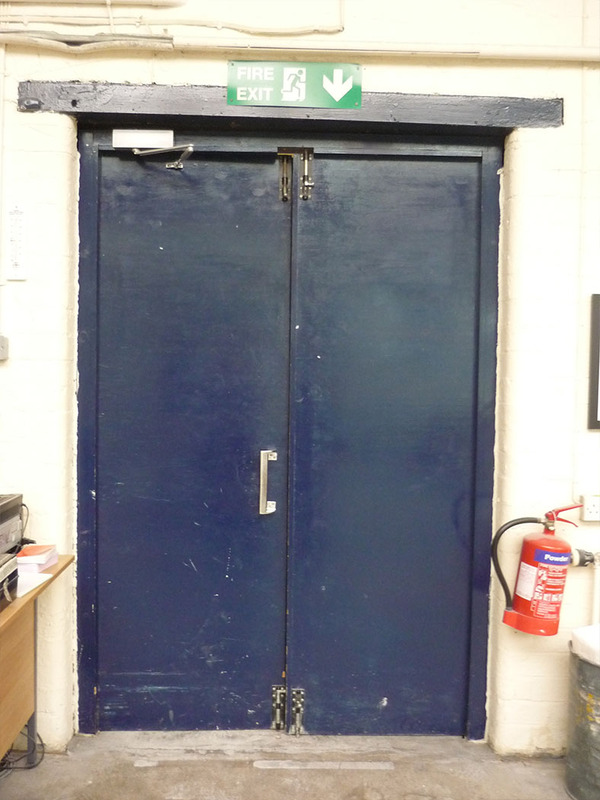 We have a double width door within one department of the factory measuring 137cms (4ft 5ins). All doors open outwards or slide. 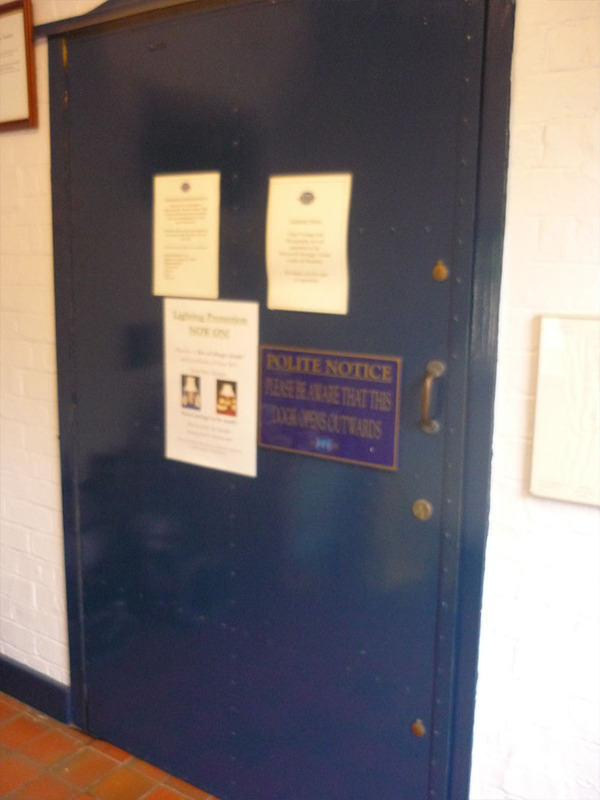 One inner fire exit door measures 73cms (2ft 4ins) wide. 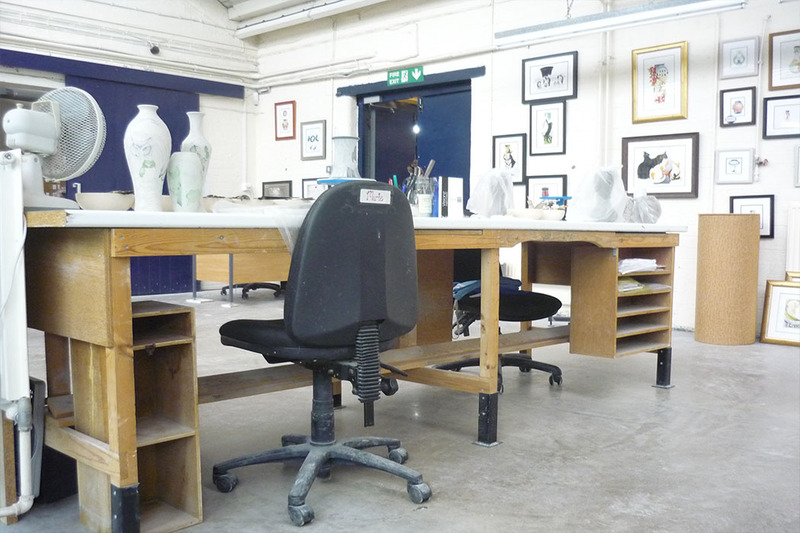 There is no seating available on the factory itself, but chairs are provided within the Visitor Centre and Museum. The floor is concrete but can be slightly uneven in areas, although wheelchair access is not an issue. All viewing benches on the tour are 91cms (3ft) in height. There is a sole toilet for the use of disable people and unisex and a separate toilet for males. These are located approx. 45 feet from the main car park to the rear of the main building. There is 2-4 feet of gravel and then level concrete. There is a short ramp with a slight incline measuring 381cm (12ft 6ins) in length to gain access to the toilet. The first door is a heavy metal door that is always fixed open. 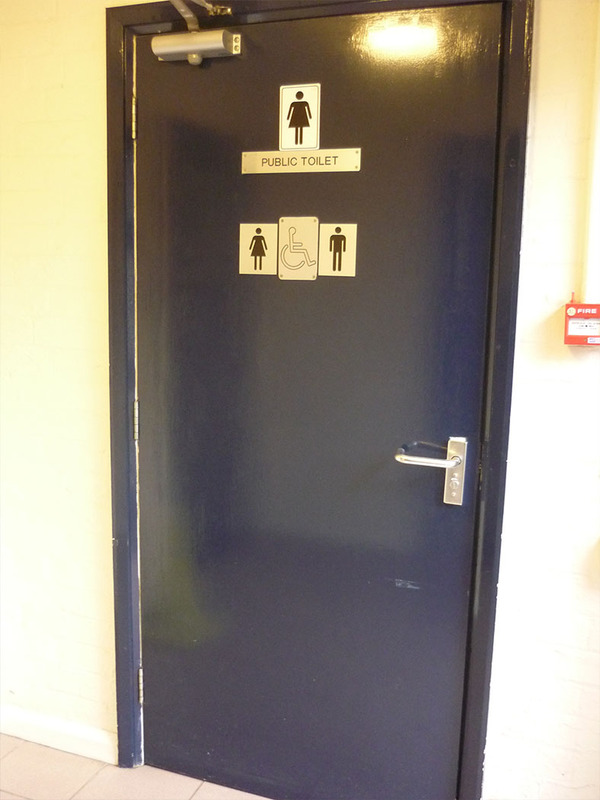 The main disabled toilet door measures 91cm (3ft) in width and the handle is 104 cms (3ft 5ins) off the floor. The lock on the door is a handle lock with an indicator bolt. 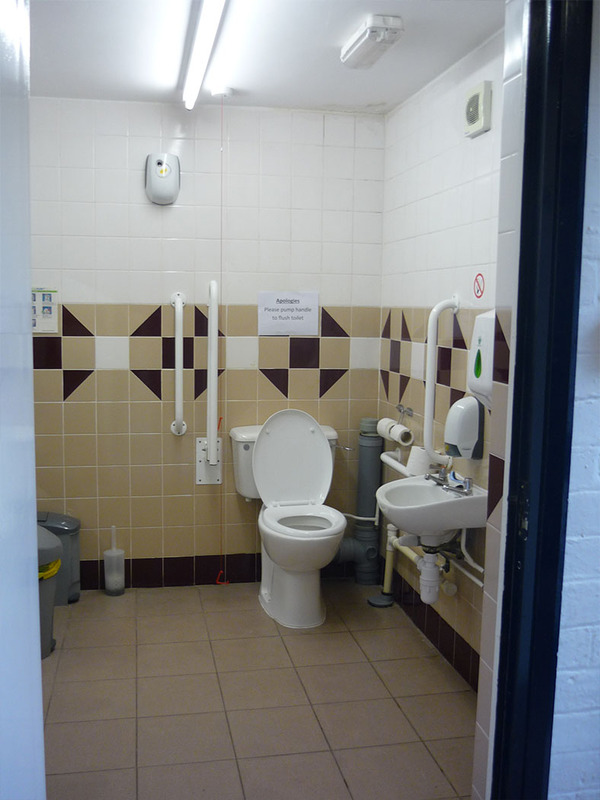 The height of the adapted toilet is 48cms (1ft 7ins) and there is a lateral transfer space. As you face the toilet pan the transfer space is on the left. There are multiple toilet roll holders which are not placed higher than 100cm. As you face the toilet the wall mounted grab rails are on both sides. Wall mounted and drop down rails are available. There is also a red emergency cord located to the left of the toilet as you face the toilet pan. This cord is linked directly to an emergency alarm situated in the visitor centre, where a member of staff will quickly assist. There is a sink which is not placed higher than 74cm and the tap type is lever. There are mirrors in the toilet and they are placed at a lower level for ease of use. Hand dryer and paper towels are available, as are disposal facilities within the toilet. The floor is a tiled floor and the lighting is from a fluorescent tube light. 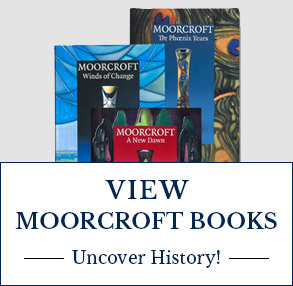 The Visitor Centre, as well as a museum, is also a shop with a complete range of Moorcroft Pottery, Cards and books. This can be accessed directly from the main entrance. 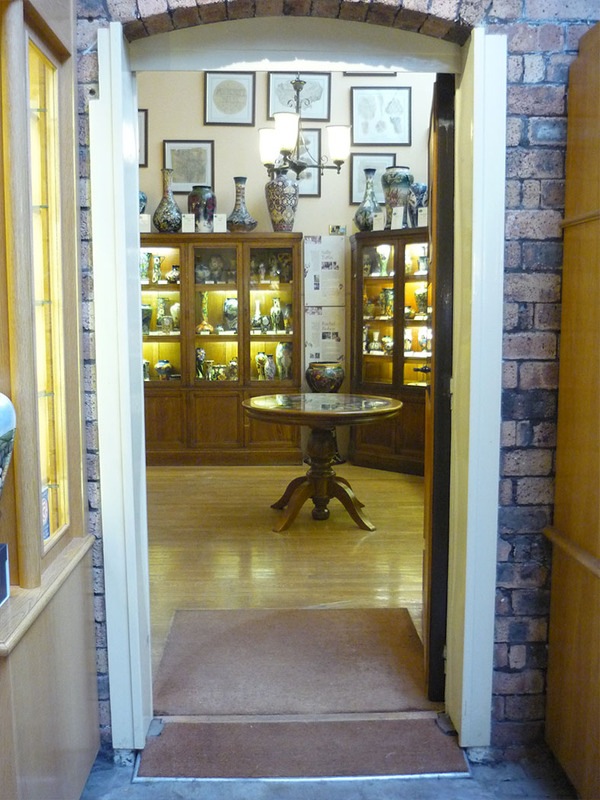 The shop and museum are all on one level, although the flooring can be uneven in areas. A low level desk & counter are provided. 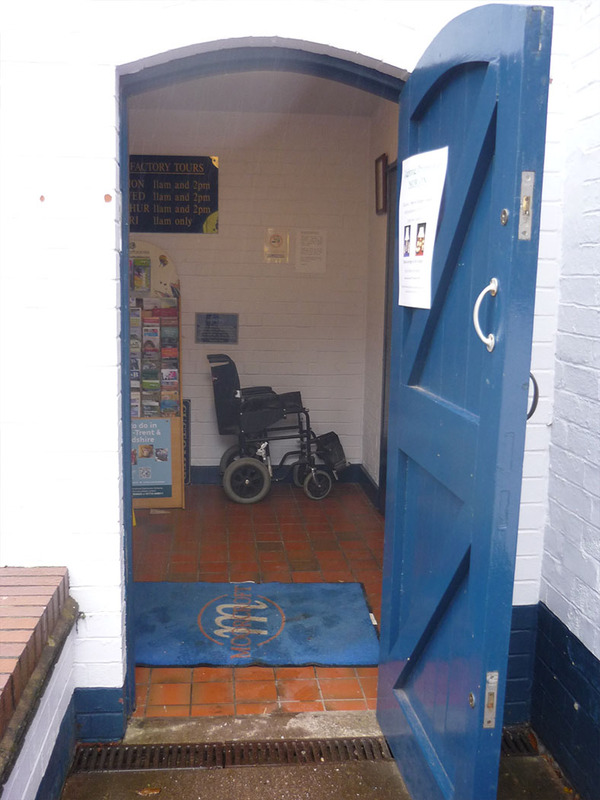 There is ample room within the shop for a large wheelchair to manoeuvre and turn, although some areas, such as around the bottle oven, could cause slight issues. There are display shelves around the shop but staff are on hand to assist if required. There are 3 steps to climb to view inside the bottle oven, but these are complete with hand rails on both sides. • We have a leaflet of evacuation procedures – should you require it someone will assist you with evacuation out of the building. • Assistance dogs are welcome and water can be provided upon request. • Fire Exit signs are clearly placed around the site and some areas have a lit sign in case of a power cut. • We do not have a mobility scooter or battery powered wheelchair charging facility. • Details of local accommodation is available on request. A member of staff will be willing to help. The National Rail Enquiry Line - +44 (0)8457 48 49 50 or visit www.nationalrail.co.uk.